The Czech Republic’s turbulent past has left a legacy of hundreds of awe-inspiring castles and chateaux. The capital city of Prague possesses a medieval Gothic core and many historical points of interest. Walking in the Bohemia region, fondly known as the Bohemian Paradise, is exceptionally varied. 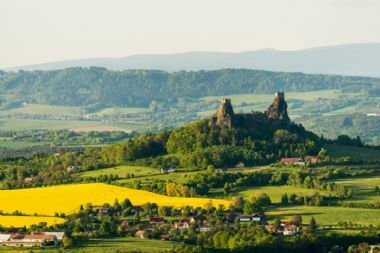 The countryside here offers endless possibilities for visiting places of natural beauty, in particular the striking rock labyrinths which are famous in the Bohemian Paradise, as well as many historical monuments and majestic castles.